Karnataka is a blessed place with beach, mountain and greenery. Explore with me! Who doesn’t like beaches! Just 460+ KMs from Bangalore you can enjoy the serene and clean beaches – jump, breath the salty air, water fights and make your hands dirty by building sand Igloo. The trail is beautiful, hiking through the muddy-green hills and beach hoping from one secluded beach to another untouched beach. As you keep hiking you can feel the waves crashing to your feet, meet many localities fishing, collect sea shells, and enjoy the nature. 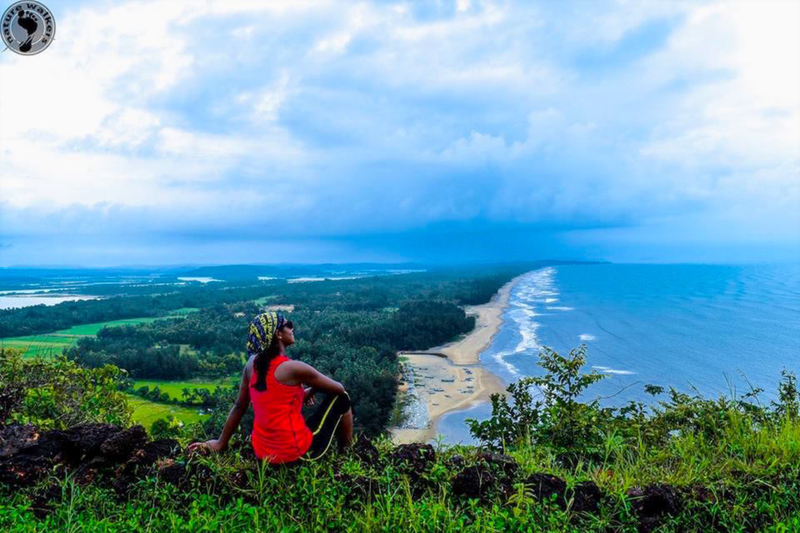 This 18KM trek covering Vanalli Beach, Mangodlu Beach, Kadle Beach, Bada Beach and Nirvana beach by which i am sure it will feed your adventurous soul. This trek is every photographer’s dream come true. The best time to do the trek would be after monsoon recedes, from November till February. Though the trek is easy, walking 20 km does demand some amount of endurance. Therefore, this trek is best suited for people with a considerable amount of fitness. TRAIL TYPE: Crossover trail. Starts at Vanalli Beach and ends at Nirvana beach. 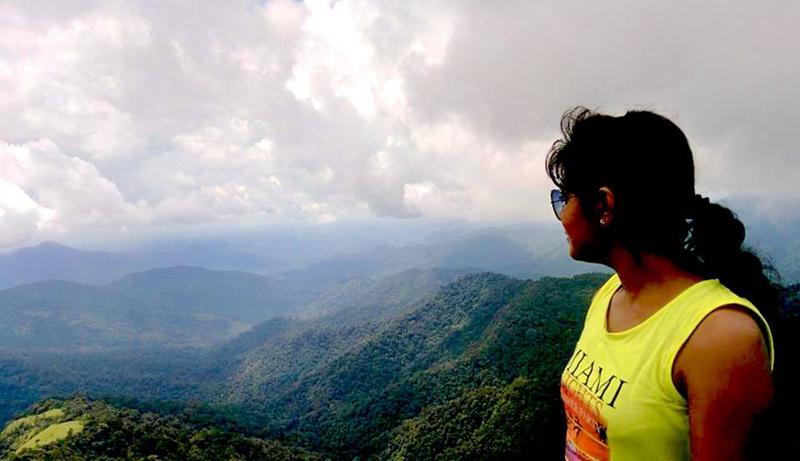 Coorg is known as the “Scotland of India” and Nishanimotte is a beautiful trek where you can enjoy the nature fully. These continuous mountain ranges also form a provisional natural boundary, separating Kerala and Karnataka. Moreover, the fact that it is just only beginning to be recognised as a viable option for adventure, makes it an off the beaten track adventure opportunity! It is about 335 Km from Bangalore and The trek distance from the base point Talacauvery is around 13 – 14 km. This is the 2nd trek I did in Western Ghats and I still remember the dense jungle, beautiful landscape, the challenging trail and Leeches which are hard to ignore. In monsoon it is quite common and I was also part of blood donation. So, request the hikers to take proper care and handle this carefully and enjoy the sheer nature. Self cooking and camping adds up the adventure and the whole experience. Another beautiful trek on the hills of Kudremukha National Park. The Beautiful valley of the region has several wild animals, tall trees and varied landscapes covered with green vegetation. The beauty will skip your heart beat and the climb will leave awestruck. 350+ KMs from Bangalore makes it a perfect getaways. Trek distance is 16KMs to and fro which falls under moderate level. It is important to obtain proper permission from the forest department of Kudremukh before undertaking any trekking activity in the region. 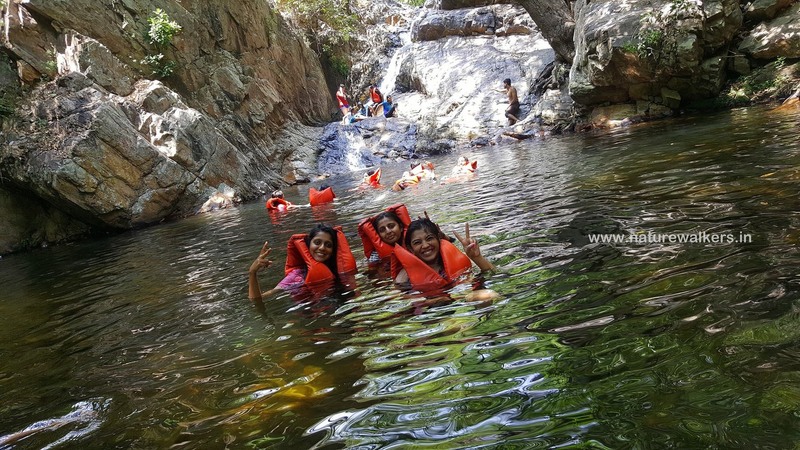 This is applicable for the trekking trip to Kurinjal as well as is one of the major reasons responsible for maintaining the raw untouched look of nature. In fact, cluttering or damaging nature in any manner within this region is considered to be a serious offense. Respecting nature and practicing its conservation is one of the biggest takeaways of this extremely wonderful trekking trip. Dip to natural pools is all about this trek. The trail is 12KMs with adventure of pool hopping, jumping, swimming and water fights. Nagalapuram is “Queen of Water Falls“ known for the various water falls situated in the hill station. The place falls in Eastern Ghats which makes it different experience than the other treks from Bangalore. It would enable you to experience a different feeling at the top of serenity and water reservoirs. Taking the life-jackets will ensure more safety and more fun. Witness many other falls on the way and one of them offers sliding options also. As the number of people coming here is increased, littering is a big issue nowadays. You can see plastic covers, bottles and other wastes scattered inside the forest. The river is gradually getting polluted. If this situation continues, very soon we will lose this beautiful place also. We have to be more responsible towards our nature. So don’t leave anything in the forest, don’t allow anyone to do also. Experience the bliss of the Coorg lifestyle and the endless tropical trails of the Western Ghats of Karnataka. Green trail, beautiful mountain range,Infact its a very nice route for a bike trip as well. The trail is 8 KMs (to and fro) which makes it perfect for the beginners. The entrance to the trek trail is prominent with an arch that leads to the Mahavishnu temple. We can witness Kopatty hills on a tarred road for 2 km with paddy fields on both sides. After the tarred road the trail continues on a muddy jeep track for 20 min until reach the first stream. The Y-intersection and after ten minutes reach two abandoned houses that take you into the forest. The forest trail is 2 km until it open up again to the green meadow. Overlooking the valley called Erullivana is a flat table top range of Mandalpatti. It is a ten-minute ascent to the peak which is marked with a flag where one can enjoy a 360-degree view of the western ghats. The altitude is 4300 ft (1375 mt) above sea level. 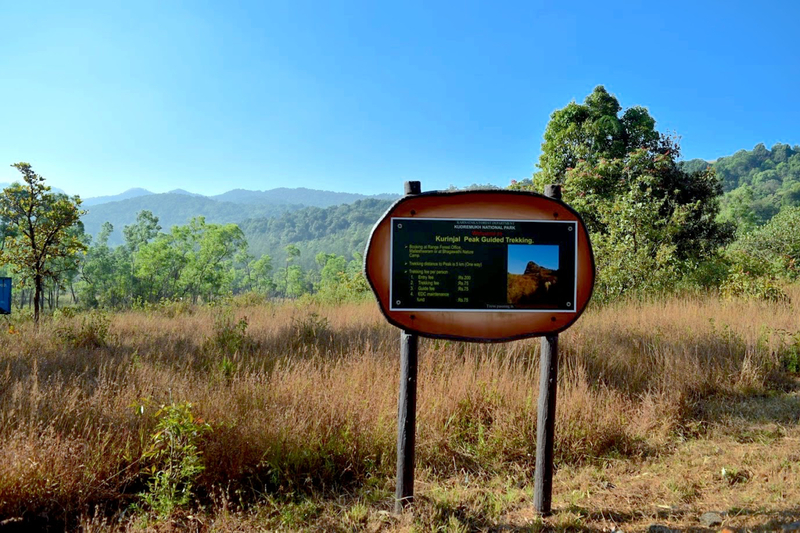 TRAIL TYPE: Hiking 8KMs, Trail passes through plantations, open grasslands with beautiful views of the valley. 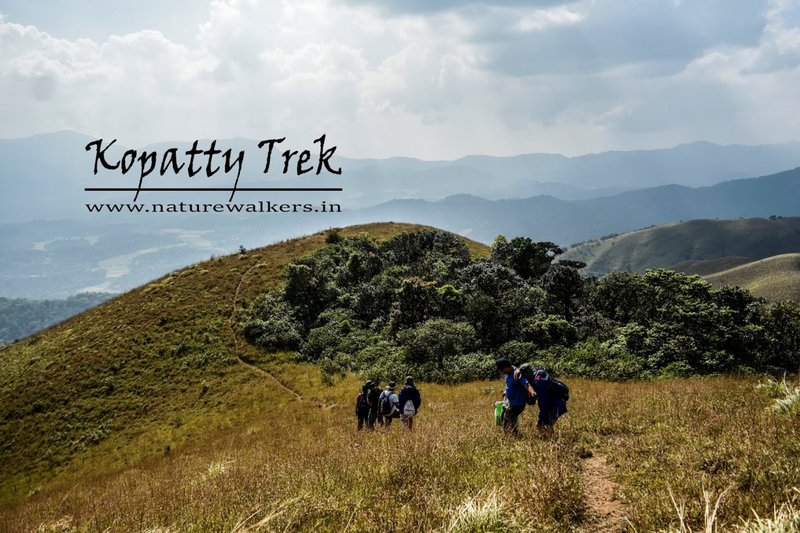 Next postKudremukh Trek – A slice of Heaven on Earth!